USDA inspectors have been ordered to falsify inspection reports. 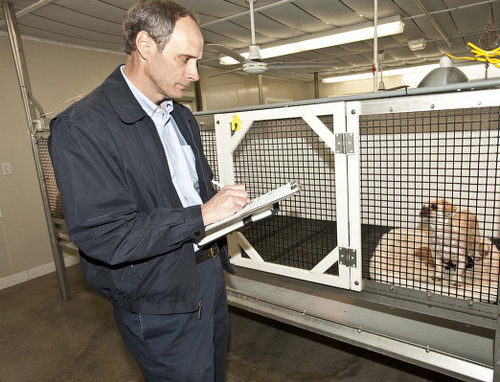 USDA is not only conspiring with the dog breeding industry to cover up abuses at puppy mills but is also actively aiding and abetting puppy millers as they attempt to evade state and local laws. In addition, USDA is blatantly violating the federal Freedom of Information Act (FOIA) and is instructing its inspectors to falsify federal documents in order to hide substandard conditions at puppy mills.